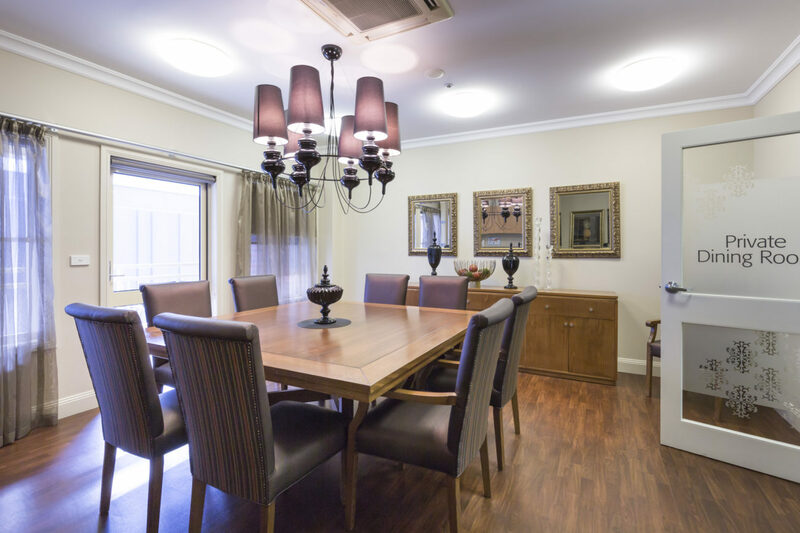 Regis aged care in Brighton is a location like no other. The aged care facility boasts spacious courtyards, with quiet living spaces; the perfect environment for ageing-in-place. Our Brighton aged care facility offers aged care services ageing-in-place, dementia care, respite care and palliative care. We create a personalised aged care lifestyle program for all of our residents and encourage the involvement of family members in doing so. At Regis, we strongly believe that it’s important to be able to find your place when moving into an aged care facility. We strive to make that transition as smooth as possible by providing all the support you need, in the best possible environment and surroundings. Regis Brighton aged care features services such as an on-site chef, private dining rooms, café, hairdressing salon and day spa. With all of these unique services available, contact us today and book a tour to see for yourself how amazing our Brighton aged care location really is!